Have had this for about 6 months now. Anyone who is a fan of dirt racing should definitely make the investment. It is incredible what they have been able to do. Computer Man is now selling a computer box with the specs that iRacing recommends. The cost is $1,250 with stereo sound, add $50 if you want 5.1 Sound. FYI - this is the same computer that Tim Simulator uses. 120GB Solid State Hard Drive. I had iRacing back when they first came out with dirt but my laptop stopped being able to handle the even low level graphics after a while unfortunately. With the cost of iRacing memberships, tracks, and a computer to run it (not saying that's a bad price) I'd only be a couple thousand from a real **** box car to race with. I loved the game while I played it just wish it could be ran on a little dumber computers so I could play it. Yeah i have a cheaper cpu GT. I messed with the graphics and even on the low end you can get it up to decent graphics. It is so much better now than when they first released it. I would ask Santa for a year membershipe!!! haha. 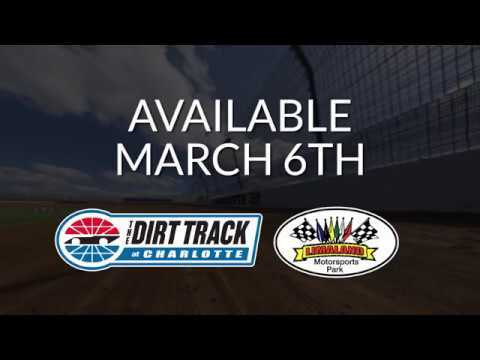 Two new dirt tracks. The Dirt Track at Charlotte and Limaland Motorsports Park. March 6th. I’m no longer on there since $$$ and my laptop isn’t powerful enough to run it. But, I imagine Lola would be a blast. Good that they’re adding short tracks now. I LOVE Charlotte on other games so wish I could have tried it on iracing. If time sims is at a race I’ll have to hop in and try out one of those two tracks.